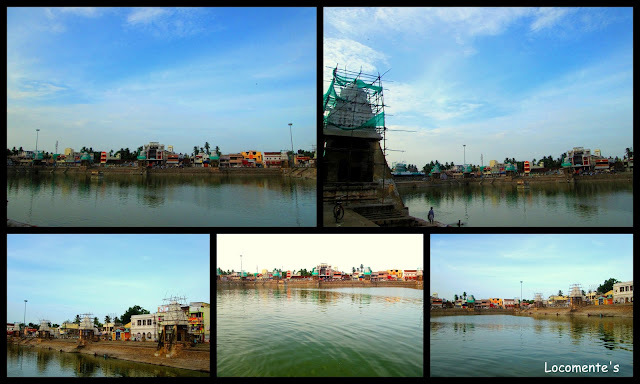 Kumbakonam is famous for the Mahamagham that takes place once in twelve years. When I had been there last year, renovation works were going on because the Mahamagham was awaited. It took place in February this year. 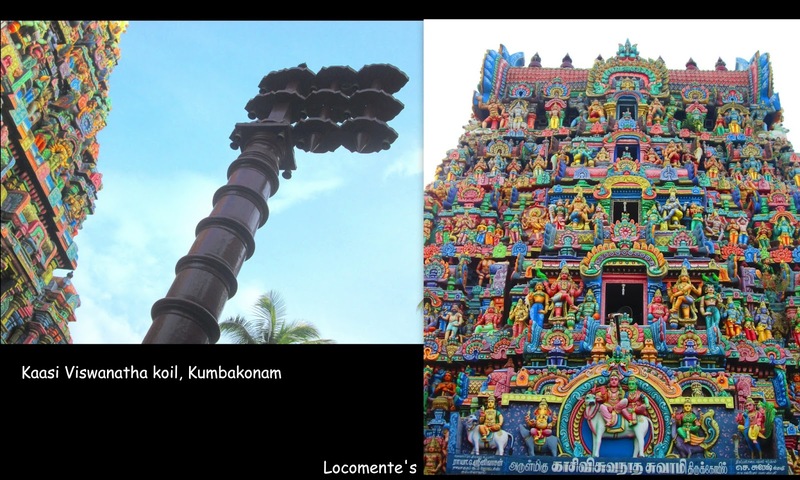 So, the Gopuram were either freshly painted or the work was in progress. 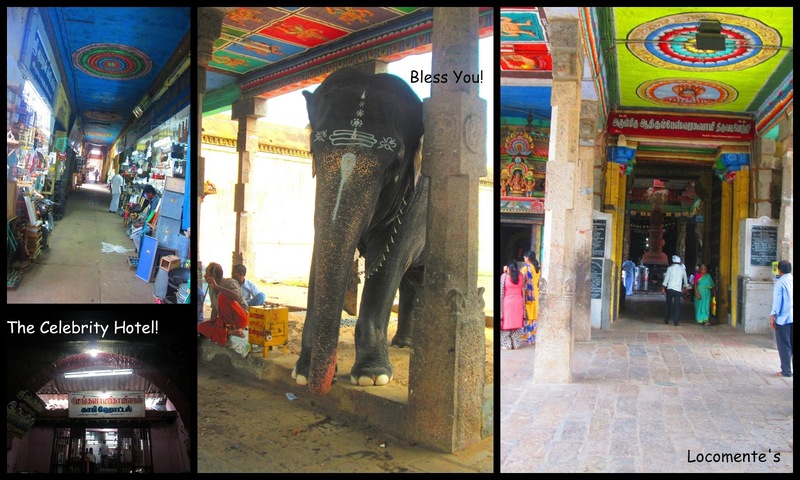 The beauty of the temples in Kumbakonam is that they carry an old world charm and are free from the commercialization that have become a part and parcel of famous temples. Their simplicity is truly marvelling! The driver who also transformed into a guide for me took me to the Mangalambikavilas Hotel. He told me that it is a very famous hotel and many celebrities go there to relish the taste of the food served there. I have to tell you that it tasted like home food; the kind that mothers cook – free from soda and all that. I had enjoyed the dosa and vada J I still remember its taste. The hotel is situated inside the Kumbeswarar temple. Don’t miss it when go there. And I had also slurped the Kumbakonam degree coffee. It is my place.You have captured the essential spirit of the town in this short post.There are so many famous temples around the town.Yes,it breathes the old world charm unsullied yet by the modern urban culture.How come you are drawn to this ancient town? You know my ancestors also belong to kumbakonam and most of the rituals that we follow in the temples in our hometown is similar to what we see in kumbakonam. So I just felt like I have to see this place ! Beautiful pictures. I'd love to go there someday. Kumbakonam is a beautiful place. Lot of history. Its a really nice place... Like our native! I have not visited Kumbeshwarar temple yet. Our Tamilnadu koil gopuram have got unique charm. I had been to a few temples in Karnataka last week. They look ancient, serene but no other state can beat the architecture of Tamilnadu temples. Beautiful pictures, esp. the first one! I missed the kumbakonam degree kapi when I visited this place during mahamaham... not only the kapi, I couldn’t check anything, perhaps, we haven’t panned properly and it wasn’t the time to explore. Beautiful photos from the temple town and towers!